We'd like to start our latest instalment of the Baker's Dozen pieces by asking if you're all sitting comfortably? Good, then let's begin. If you're wondering about the reason for the fairy tale-sounding intro here, it's because it may, or may not, surprise you to know that Jonathan Donahue has picked two children's story audiobooks for his list, alongside tapping into his 15-year-old self with some punk rock choices. 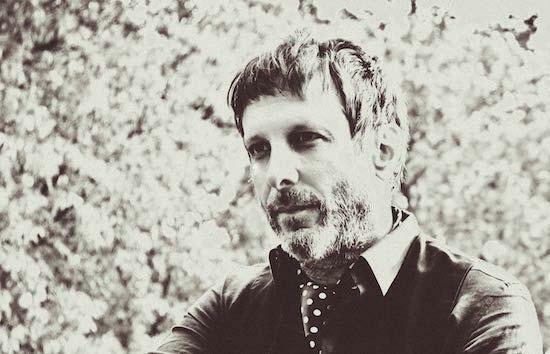 But seeing as Mercury Rev have always been a band that are about the make-believe, the otherworldly fantasy, their fans might see it as quite fitting. In fact, Donahue's list is so obscure that, he says: "If you add up the record sales from my list in total, there'd be 10,000 sales, absolute max!" Donahue's taken time out while driving through the Catskill Mountains to ponder upon his 13 favourite records, albums that have inspired the band's latest, The Light In You. It's their first on Simon Raymonde's Bella Union label, which is particularly fitting as Donahue has a deep respect for Cocteau Twins and the label itself. "We're big on Cocteau Twins, but actually you can hear that more perhaps on this album more than any other," Donahue explains over a crackly Skype call, "especially in the guitars that have a lot more of that shimmering, chorus-y, reverb-esque signature Cocteau sound. Bella Union was the only label we approached with the new album, which was very fortunate because we spoke with him about releasing a record and we just said, 'Hey, we're finishing up a new album, we'd really want you to hear it.' And he said, 'Great, but if you don't send it to me within 24 hours, I won't be able to put it out until next year because of lead times.' So we rushed and sent him two demos and within 20 minutes he called back and said that he was in and that it'd be out in late September or early October. It all happened very quickly." When you've been together as a band and known one another for 25 years, living in each other's pockets, there will inevitably be friction, strops and disagreements. Donahue sees each band member not so much as a brother but more "my other left and right arms", explaining their motivation after three decades of being together. "I think that when we started out it was much more of a nuclear reactor, as there were six of us in the original band! So you begin to pressurise those atoms together and form them into proximity. Nuclear reactions take place and it wasn't really the six of us pressurising ourselves, it was the immediate attention that your self-esteem got in 1991 [following the release of their debut album, Yerself Is Steam], then found six friendships caught in a vice grip of things to do, money on the table, decisions to make, tours to go on that none of us had planned. So that led to a combustion that you couldn't get back once the sequence was started, you couldn't stop that nuclear fission. Whereas today, with Grasshopper [Sean Mackowiak, guitarist and clarinettist] and myself, we see these big shiny red buttons on each other, we know where the knife goes in. So we're quite protective over our vulnerable spots."